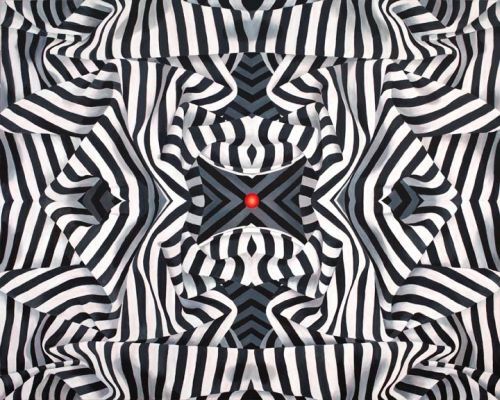 Funk Zone Art Walk – 2nd Saturdays. 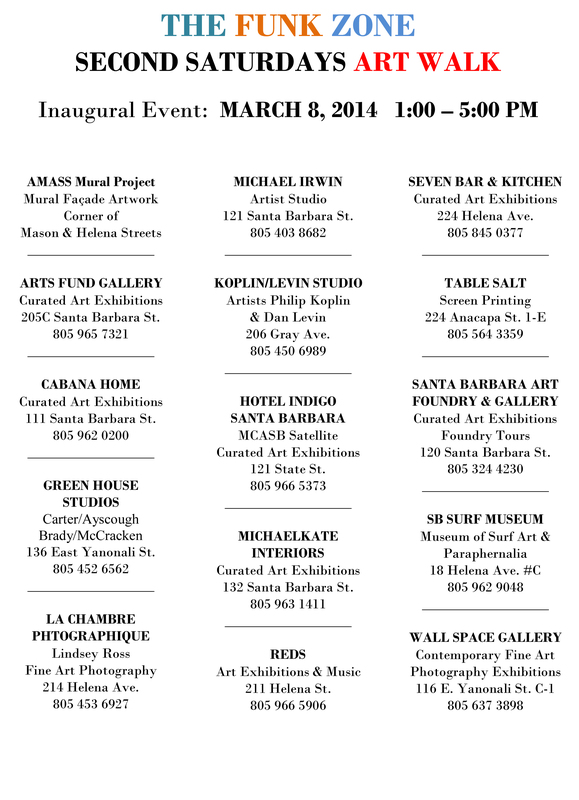 Coming up on March 8th we have a bonanza of bounteous art and culture for your viewing pleasure. 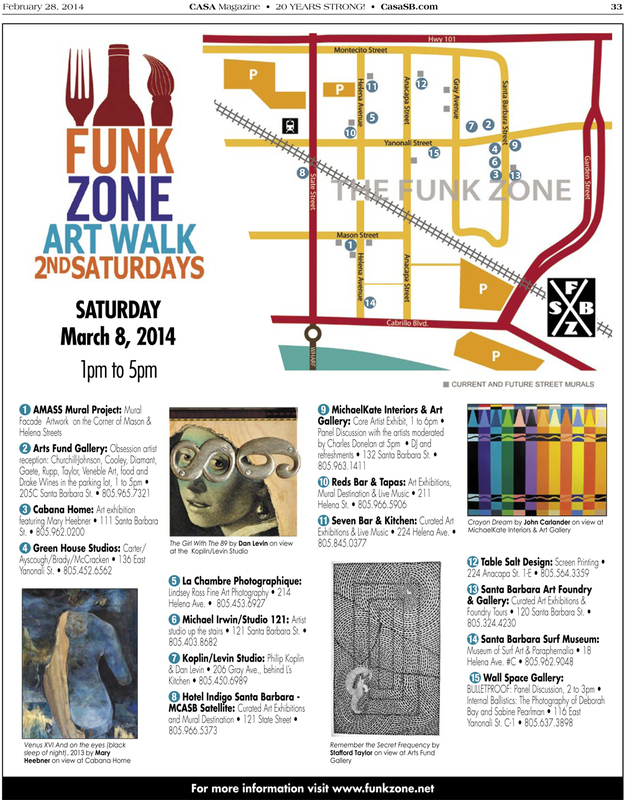 Join us in the Funk Zone for the Inaugural 2nd Saturday’s Funk Zone Art Walk. It promises to be a day filled with art and conversation. Take a look at the offerings. We will be focusing on many of the locations individually, so keep an eye out for more information. Remember this is only the first of the year! We have many good things happening as we move into the rest of the year. 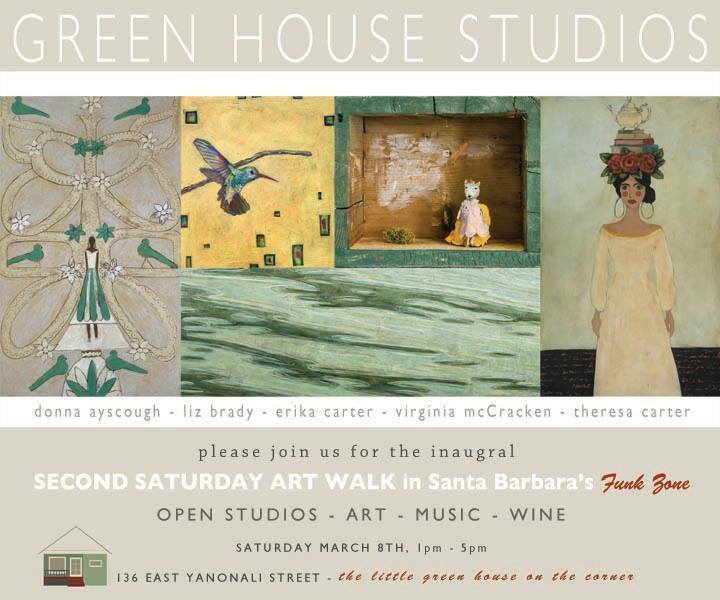 The Art Zone partners of Santa Barbara’s Funk Zone are excited to announce the launch of Funk Zone Second Saturdays Art Walk. The event will occur every second Saturday of the month and will feature art-related events hosted by participating Funk Zone venues. 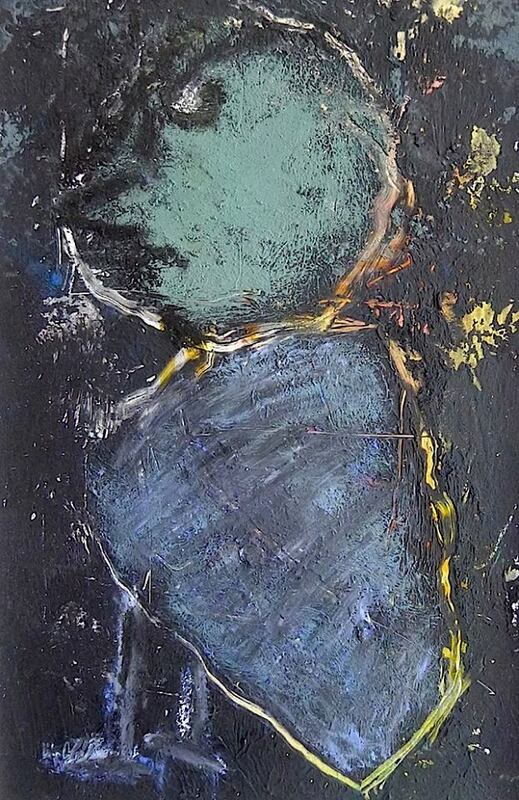 The inaugural Second Saturdays Art Walk will take place on Saturday, March 8th, 2014 from 1:00pm to 5:00pm. Several venues may choose to be open later. Although each venue will be hosting a different event, all events are open to the public. 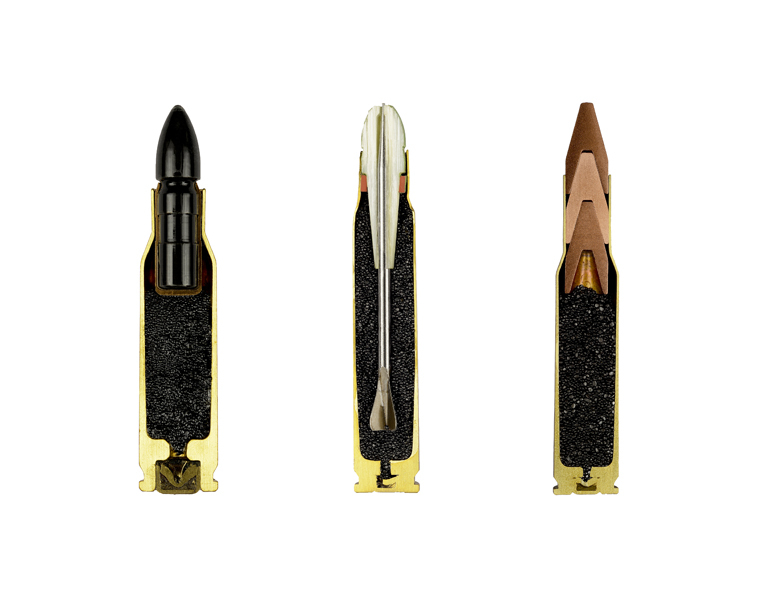 Wall Space Gallery featuring current exhibition, “Bulletproof,” and hosting a panel discussion on March 9th from 2:00pm to 3:00pm. Other exciting events to take place on March 8th include artist pop-up booths in parking lots, the Burger Bus, McConnell’s ice cream truck and live music in various locations. Additional venues are scheduled to participate in future Second Saturdays Art Walk events. See you in the neighborhood on Saturday!